I'm Audrey! 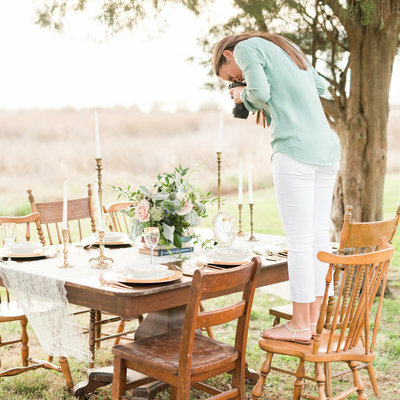 A 20-something wedding photographer based out of Norfolk, VA. 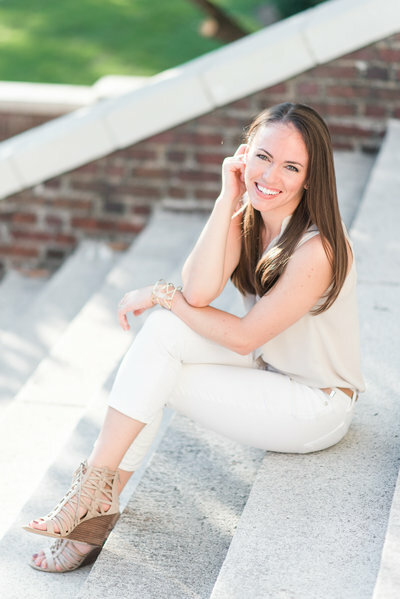 I'm a born and raised Virginia native with a love for all things southern elegance! 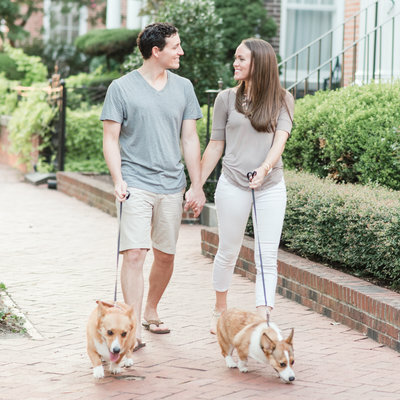 I live in Norfolk with my high school sweetheart turned husband, Branden, and our two corgi pups, Henry and Charlotte! When I'm not shooting weddings and Branden's not at the hospital working as an Ob/Gyn resident, we love walking our dogs around the neighborhood, visiting local breweries and Netflix and red wine on the couch! 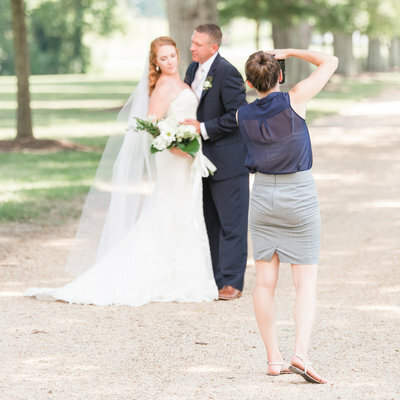 My passion for photographing weddings comes from my passion for my own marriage. I know how amazing this journey can be and the importance of savoring and remembering the joyful times along the way. Being able to capture the emotion and excitement surrounding the day that a couple vows to spend the rest of their lives striving to be the perfect partner for each other is an honor that I am so privileged to have and don't take lightly! 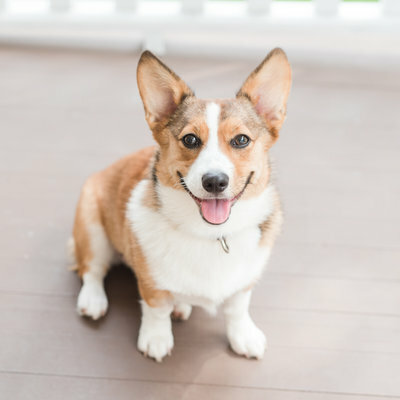 My husband is my rock and our corgi pups are our children- no shame in admitting it! Human children are certainly on the horizon, but for now, our little family is just perfect that way it is! We recently purchased our first house together- a century old little craftsman in a picturesque historic neighborhood. This cozy little house is perfect for our little family and has been so much fun to decorate and make our own! My whole life I've never lived more than 20 minutes from the ocean and I can't imagine it any other way! Whether it's an early morning trip to VA Beach with our pups or a week long trip to the OBX with our family, we're in heaven! Let's start at the very beginning! (Sound of Music anyone??) 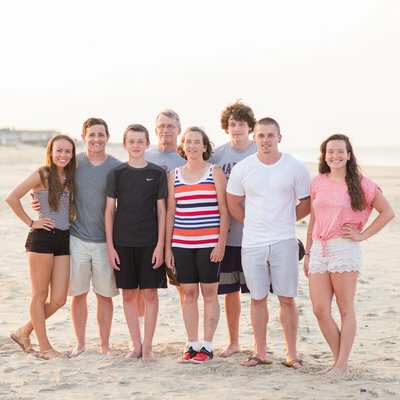 I grew up in Yorktown, VA as the oldest of 5 kids! Having a big family was a blast and I couldn't imagine it any other way. We are all still very close and all live within an hour of each other, so we still get to see each other all them time! Click the arrow to learn more about me and my story! When I was a freshman at Tabb High School, I met Branden. I just couldn't resist his cute curly hair and nice guy smile. He loves to tell the story of how we met since it involves me chasing after him! I'll never live that down! But I don't mind because it was the best decision I ever made! 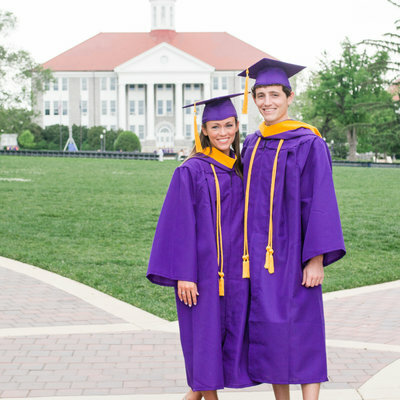 After high school, we both attended James Madison University. I had a blast during my 4 years there! From playing intramural sports to warm days on the quad, not to mention the gorgeous mountain scenery everywhere you look! I graduated in 2012 with a Computer Science degree. On July 14th, 2012, Branden and I officially became husband and wife! We said I Do in my home church, the same church where my parents were married, in front of all our friends and family. After a romantic honeymoon in Maui, we settled in Norfolk, VA. Branden started medical school at EVMS and I started a full-time job as a Software Developer. After 6 months of marriage, we made the next logical step and got a puppy! The day after Christmas, we drove to Richmond to pick up our 8-week-old Corgi puppy, Henry! We may be biased, but he is pretty much the cutest dog ever! And he is a ham in front of the camera! Look at that smile! You're probably wondering when my business comes into my story. Medical school is pretty much a 24-7 gig, so even with my full time programming job, I still had too much time for myself. Photography has always been a hobby of mine, so I decided to take it one step further by doing shoots for friends and families on the weekends. I never intended for it to be more than just something I would do for fun every now and then. But I got started, I was totally hooked! It wasn't long before the wedding inquiries started rolling in. Shooting weddings was never something that was on my radar, but I figured I would give it a try! 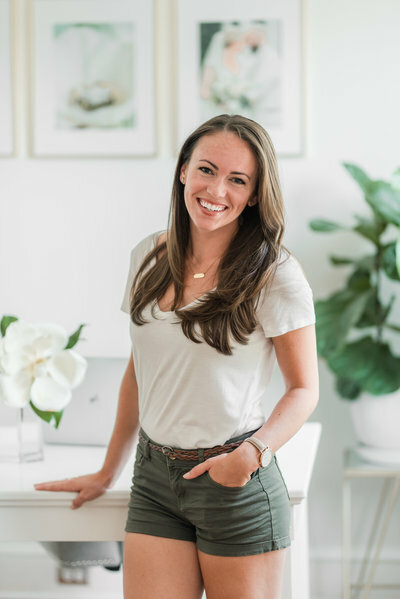 After my first wedding, I felt a passion ignite and I knew this was something I needed to pursue. I didn't know yet that this was meant to be my career, but that came soon enough. After 2 years of shooting weddings and sessions on the weekends and working full time during the week, I knew something had to change. It become clear to me that my passion was in photography and that I couldn't keep living this double life between two full time jobs. So I kicked it into high gear and started on a path to going full time with my business. Then in April of 2016, I was finally able to leave my corporate job behind and pursue my true passion full time! I can't even tell you how it felt to reach a goal that I had been going after for so long! It's still so surreal that this dream of mine has turned into a reality! Back to the personal side of things! After a few years of having Henry, we decided he needed a buddy. That and we had puppy fever real bad! So we decided to get him a sibling, Charlotte! We got her from the same breeder as Henry, so she is actually Henry's full sibling! But their personalities couldn't be more different! Henry is laid back and fairly obedient, Charlotte is feisty and full of sass! But these guys are definitely siblings- they fight over toys, compete for mom and dad's attention and occasionally try to kill each other. 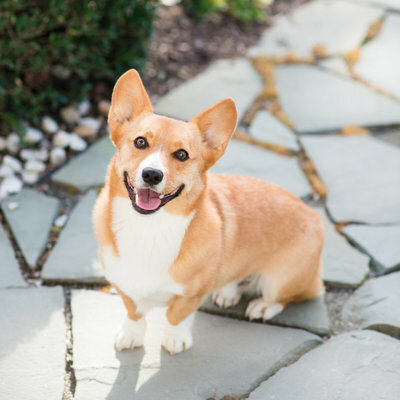 And in case you didn't notice, we gave our dog British royalty names in honor of the Queen and her corgis! After 4 long and trying years of medical school, Branden finally became Dr Deyerle in the Spring of 2016! Proud doesn't begin to describe how I feel about this accomplishment of his. I know how hard he worked to get to graduation day and how many times it seemed like it was going to be too hard to reach. But the hard work isn't over yet. 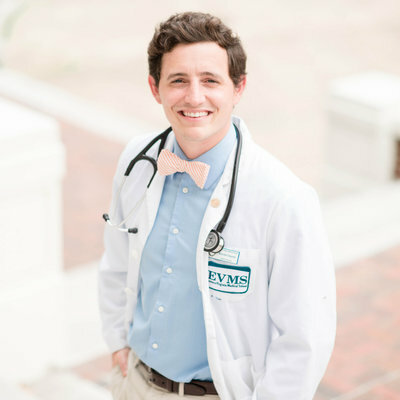 In July of 2016 he started his 4-year residency to become an Ob/Gyn. The work is hard and the hours are long, but we are getting closer and closer to that finish line! Not a day goes by that I don't realize how lucky we both are to have our dream jobs! As if quitting my job, getting a new puppy and Branden graduating medical school wasn't enough for the spring of 2016, we also bought our first house together! We had lived in an apartment throughout medical school, but once we found out that we'd be staying in Norfolk for another 4 years we didn't waste any time looking for a house! 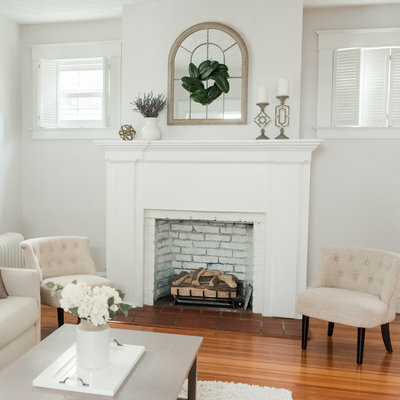 We found the perfect little century old craftsman house in a beautiful neighborhood in Norfolk. Turning this house into a home for our little family has been such a joy! And that brings us to where we are today! If you made it this far, then you are a champ! I pinch myself every day that have been able to get to where we are today. Branden delivering babies at the hospital, me photographing weddings for the most amazing couples and snuggling our sweet corgi pups in our new home together in between! We are truly blessed and we try to never forget that! Now that you've heard my story, I'd love to hear yours!